Sarah Arthur is a fun-loving speaker and the award-winning author of numerous books, including the best-selling "Walking with Frodo" and "At the Still Point: A Literary Guide to Prayer in Ordinary Time." A former youth director, she now writes and speaks about the role of the imagination and stories in spiritual formation. She's a member of the Mythopoeic Society and serves as a consultant for the C.S. Lewis Festival held annually in northern Michigan. A graduate of Duke Divinity School, she lives in Michigan with her son Micah and husband, Tom, who lovingly built her Web site: www.saraharthur.com. 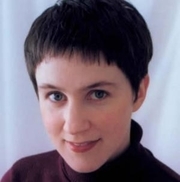 Sarah Arthur is currently considered a "single author." If one or more works are by a distinct, homonymous authors, go ahead and split the author. Sarah Arthur is composed of 4 names. You can examine and separate out names.